Ajit’s research interests include studying the management and policy issues of using information technology (IT) in the healthcare sector such as value (quality and cost) impact of IT use, and economics of information security risks including HIPAA compliance. 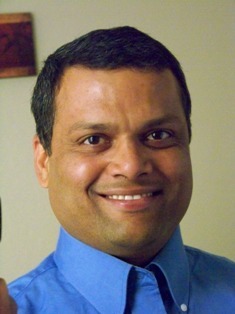 His research has been published in journals including Electronic Commerce Research and Applications, IEEE Software, International Journal of Internet and Enterprise Management, and Journal of Systems Software. He was previously employed by Honeywell Technology Solutions Lab at Bangalore, an R&D division of Honeywell International. Ajit holds an M.Tech. (master of technology) in Quality, Reliability and Operations Research from Indian Statistical Institute (India) and a PhD in Business Administration from Syracuse University.